Limited Time Sale Plus Free Shipping! In Stock, Ships Same Day!! 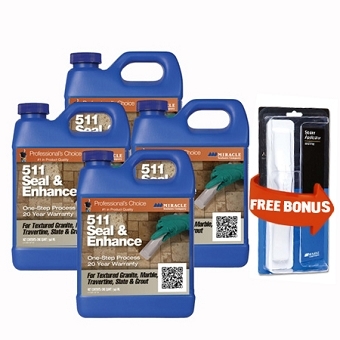 511 Seal & Enhance Is a unique, solvent-base formula designed to eliminate the need to use an impregnator before using a color enhancer for maximum stain protection and superior color enhancement. 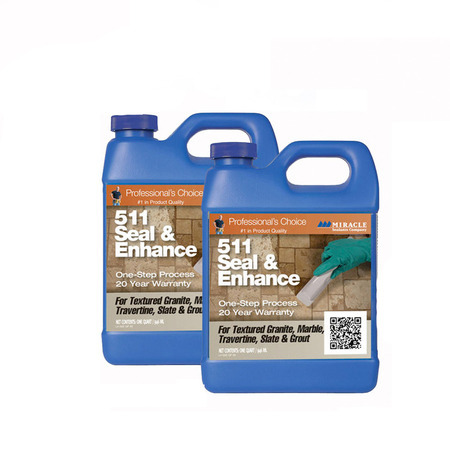 511 Seal & Enhance is safe for use on granite, marble, limestone, natural stone, slate, ceramic tile, quarry tile, grout, concrete and masonry surfaces. 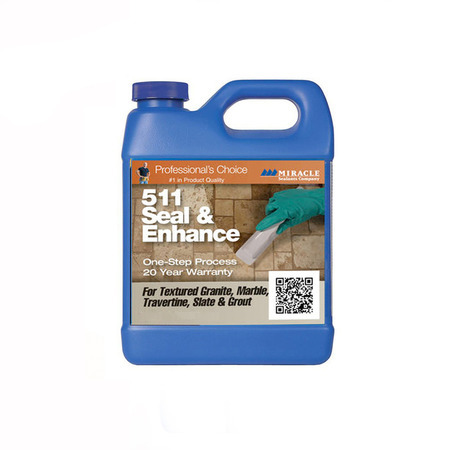 511 Seal & Enhance will enhance the color and rejuvenate the appearance of tumbled, honed, acid-washed, sandblasted, flamed, textured, even polished stone and tile surfaces. 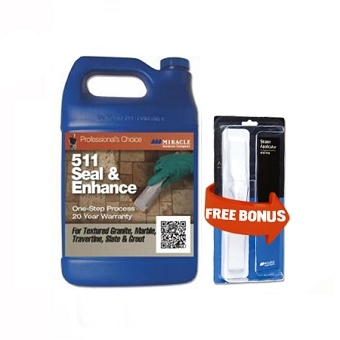 In addition, 511 Seal & Enhance revitalizes old and worn stone and tile installations. 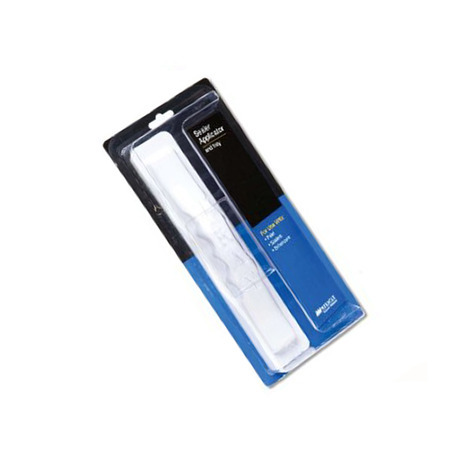 It can be used successfully in both interior and exterior environments and is freeze/thaw resistant. Coverage: Approximately 250 - 4,000 square feet per gallon (25 - 400 square meters per 3.785 liters). Container sizes:Contractor Pack, quart, pint.